Slovenia has always strived to become a technology-friendly country. 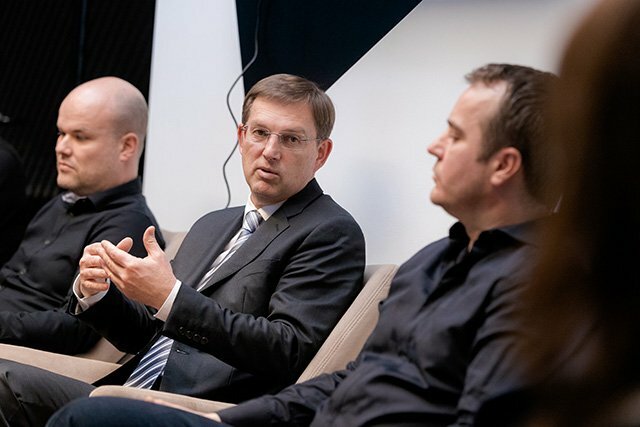 Many governments refer to Slovenia as the Silicon Valley of Europe, but so far there has been no major breakthrough in this area; however, it seems that with the advent of blockchain technology, we are getting closer to this ambitious vision, and the government of Dr. Miro Cerar is increasingly aware of this. To that end, the Prime Minister Dr. Miro Cerar, Minister of Economic Development and Technology Zdravko Počivalšek, and a number of State Secretaries attended a working meeting at the Viberate premises today. 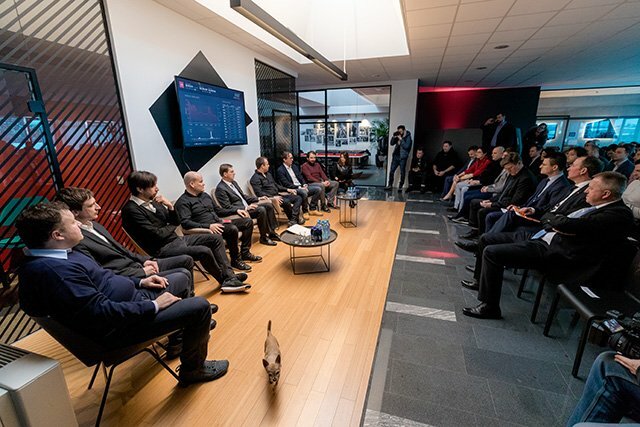 Together with some other successful domestic blockchain companies start-ups, they discussed the advantages and traps posed by this technology and the aim of making Slovenia more attractive for the domestic and foreign blockchain companies. 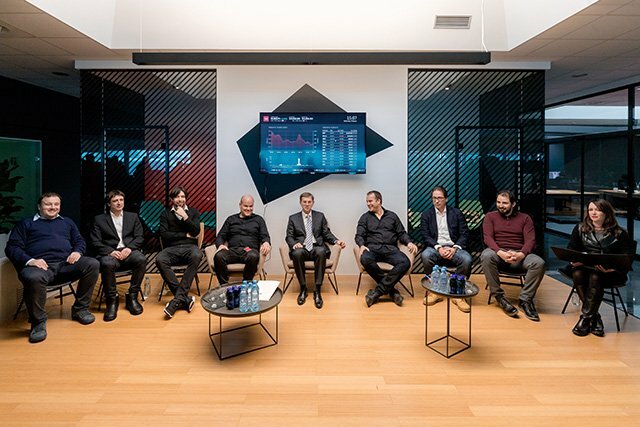 The initiative for cooperation between the Slovenian government and the Viberate company was created a week ago at the World Economic Forum in Davos, when State Secretary Tadej Slapnik, and the COO and co-founder of Viberate, Vasja Veber, took part in a roundtable discussion under the auspices of one of the most recognized development companies in the field of blockchain technology – Consensys. The panel discussed the importance of cooperation between companies and government in the field of blockchain technology development and the creation of friendly ecosystems that encourage the creation of innovative companies. 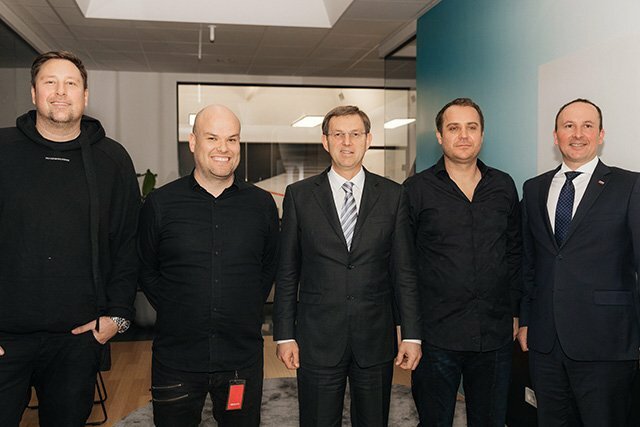 At a working meeting, representatives of Viberate, InsurePal, ICONOMI, and SunContract presented their activities to the President and ministers, explaining the obstacles they face in their operations in Slovenia and highlighted the areas, where the government can help make the country friendlier towards such companies. The government is aware of Slovenia’s involvement in the global flows, and with our vision of modernisation and digitisation promotion in all areas, we are bringing to the fore the introduction of new technologies. We thus recognize blockchain technology as an exceptional opportunity: in this respect, Slovenia is at the forefront and one of the most recognized blockchain destinations in Europe. For our export-oriented and small-scale economy, it is essential to encourage the development and application of business models that enable access to the international capital market and users. The ICO transactions show the potential to develop into an efficient and safe mechanism of corporate financing when properly regulated. The government closely monitors the area and, like the EU, will pursue moderate, gradual and appropriate regulation that will protect stakeholders from the highest risks. For now, individuals and entrepreneurs are invited to act with care and responsibility and to learn about all risks; moreover, they should handle any investments in accordance with capabilities and in a way that does not compromise their financial security. Small size is not always a disadvantage, and only a small country can enable a young blockchain companys to meet with the prime minister and four ministers and directly present how the government can help it in the development of the entrepreneurial environment. I cannot imagine a year-old start-up in Silicon Valley that would be able to achieve this. If ever, now is the time when Slovenia has an unrepeatable opportunity to become a driving force in an advanced economic area, and it should not be missed. I hope that such cooperation with the government can be upgraded and that we will truly make Slovenia a target destination for blockchain companies from all over the world. The global recognizability and value of Slovenian blockchain companies are steadily increasing; projects with clearly defined goals also inspire world-renowned experts such as Bitcoin pioneer, Charlie Shrem, Stanford University Professor and Development Manager at Pinterest, Jure Leskovec, and globally renowned nuclear physicist Dr. Mark Pleško. Imogen Heap, the winner of two Grammy Awards, also supports Viberate. The Slovenian blockchain companies are already closely cooperating and do not compete with each other. We constantly assist each other in business development, share business contacts and open doors to each other. With the economic-interest alliance, Blockchain Alliance, we have only formalised and further consolidated such cooperation, and I hope that this form of cooperation provides an example to other industries. It may sound trite, but we are truly stronger together. What are your thoughts on the Slovenian Blockchain Alliance? Will it set a precedent for other countries to worth with local blockchain companies to further advancement and education of cryptocurrency and blockchain technology? Let us know what you think in the comments below.